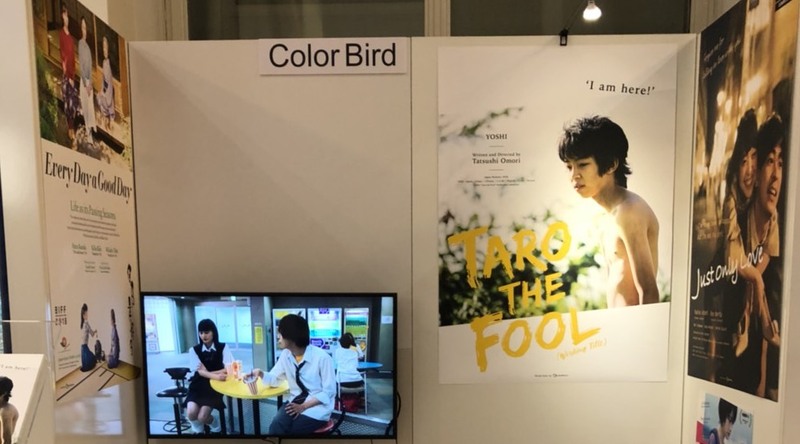 Colorbird seeks to promote the beauty of Japanese cinema through various activities including their entry in international film festivals, and their exhibition and sales in overseas film markets. ColorBird will be attending the HK Filmart 2019 (Hong Kong) from March 18th to 20th, at 1D-C14 (Japan Booth). ColorBird will be attending the European Film Market 2019 (Berlin) from February 8th to 11th, at 21 / Martin-Gropius-Bau 1F (Japan Booth). “SUKITA / The Shoot Must Go On” has been officially invited to the Main Program of the Japanese Film Festival Australia. “Every Day a Good Day” has been invited to the ‘Eat. Drink. Film. / Spotlight on Japan’ section, and “It’s boring here, pick me up” to the “Spotlight on Japan’ section of the Hawaii International Film Festival. “Just Only Love” has been officially invited to the Competition section of the Tokyo International Film Festival. ColorBird will be attending TIFFCOM from October 23rd to 25th at booth C-4. “It’s boring here, pick me up” has been officially invited to the ‘Gateway’ section of the Vancouver International Film Festival. “Every Day a Good Day” has been officially invited to the ‘A Window on Asian Cinema’ section of the Busan International Film Festival. “SUKITA / The Shoot Must Go On” has been officially invited to the ‘HISTOIRE(S) DU CINÉMA’ section of the Festival du nouveau cinema. “SUKITA / The Shoot Must Go On” has been officially invited to the World Cinemascape section of the Jeonju International film Festival. “SUKITA / The Shoot Must Go On” has been officially invited to the Far East Film Festival. “Dawn Wind in My Poncho” has been officially invited to the Crazy World section of the Kaohsiung Film Festival. We’ll be attending the MARCHÉ DU FILM 2017 (Cannes) from May 17th to 23rd with our own booth.